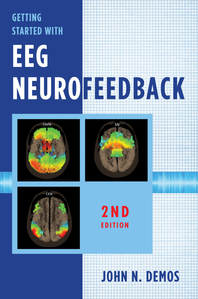 Getting Started with EEG Neurofeedback - Description | W. W. Norton & Company Ltd. The long-awaited update to Demos’s classic book for the practitioner looking to add neurofeedback. Neurofeedback training combines the principles of complementary medicine with the power of electronics. This book provides lucid explanations of the mechanisms underlying neurofeedback as well as the research history that led to its implementation. Essential for all clinicians in this field, this book will guide clinicians through the process of diagnosis and treatment.